With our Elite plan, you can now complete your Draft and Engineering on autopilot. Your company can only grow as fast as its slowest process, with this in mind, we can help to provide a growing solar company like yours an unprecedented opportunity to reach a level of efficiency necessary for explosive growth. 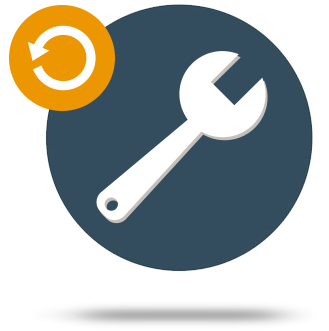 Our Process Automation powered by Expedraft is the first of it’s kind and is therefore the new standard for how all this pertinent information should be managed. 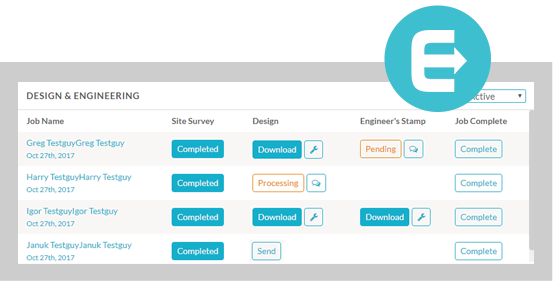 Manage all your processes with our easy to use dashboard widget. See in an instant when jobs come back from site survey, which jobs have been sent for design, and which jobs are in need of an engineered stamp. 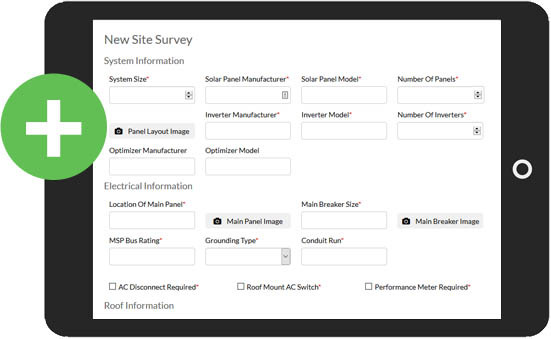 Our Site Survey Form takes you step-by-step through the questionnaire so you never miss a thing. All info is mobile friendly so you can easily collect form details, photos, and notes right from your smart phone or tablet. 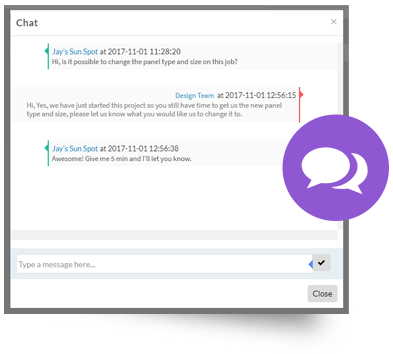 Ask a question to our draft or engineering team via our built in chat. Furthermore, if our design team needs to ask you a question, you will get an alert to minimize the process time as much as possible. Requesting a revision should be easy. If a revision is our design teams fault or if the AHJ (municipality) rejects the design, we will cover the cost. You only pay for revisions if they are made at your whim. Simply pay for the Drafts and Engineering that you use, if you would like to know more or talk pricing, let us know.